The expo, which ran until the 23rd of January in the RDS, featured 400 Irish manufacturers, designers and craftsmen. 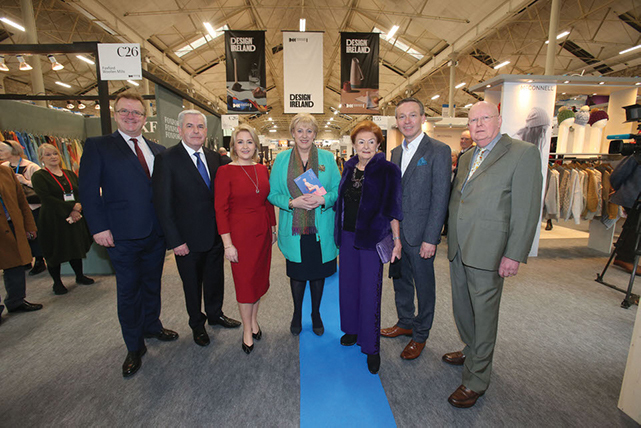 Trade buyers from the UK, mainland Europe and the Far East attended the fair to source “new and exciting” products designed and made in Ireland. Last year’s Showcase generated over 23.9m euro in sales over the four days, an increase of 12.7% on the previous year. This year’s fair had some new elements. ‘Fí,’ a fashion film directed by celebrated filmmaker Perry Ogden and styled by Paula Hughes premiered at this year’s Showcase. Fí means to weave fabric or a story and was also used in old Irish in relation to closely knit communities. ‘Fí’ was commissioned by Showcase to highlight the way in which Ireland’s creative and manufacturing talent contributes to the economy while sustaining regional and rural communities. Another new edition was “MADE/SLOW,” a special presentation of fashion, textile and homeware products, that are manufactured by small producers that combine innovative technology with traditional production methods. Other winners included “Mourne Textiles” in the Home category, “Sam agus Nessa” for Giftware and “Emma Roberts Design” for Jewellery. Attendees looking to network, expand their knowledge on global trends had the opportunity to participate in a retail seminar programme over the four days of the show which features international industry speakers delivering workshops and daily seminars.